June’s clan was a true farm family, growing their own vegetables, raising their own beef, pork, and poultry and keeping milk cows and laying hens. Huge berry patches provided ingredients for raspberry and gooseberry jam, and June’s mother, who hated to cook, cleverly trained her children to take over the cooking and baking duties. “I made my first pie at six,” says June, “and I’ll admit that I still love to bake.” Homesteading took up much of the family’s time and table conversation centered on discussions of picking rocks to prepare the soil for the year’s crop or planting, watching and harvesting wheat, rye, barley, or rapeseed. Although June eventually left the farm and now lives in Bellingham, her nephew has turned his farm in Northern Alberta into a certified organic operation where he plants heritage and ancient grains, mills them onsite, and sells them to local farmer’s markets in Edmonton, Alberta. 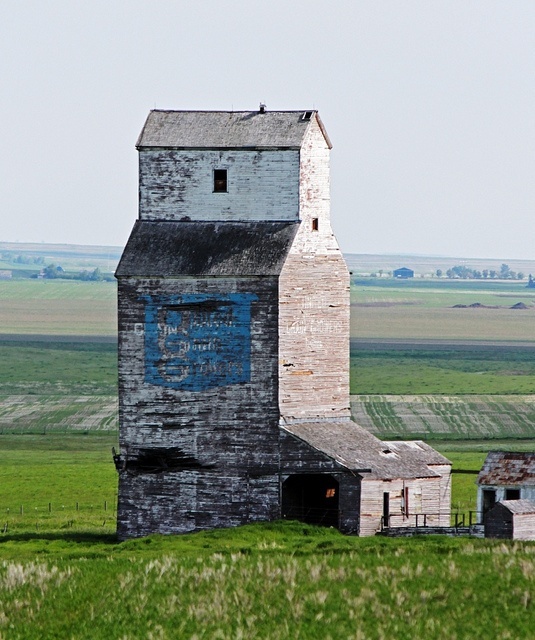 Much like Bluebird Grain Farms, Gold Forest Grains is family owned and operated and is committed to producing grain products in a sustainable manner. June has had difficulty sourcing her nephew’s products from across the border and was thus delighted to discover Bluebird Grain Farms in Washington. June has plans for a summer drive across the North Cascades National Highway this summer to take a peek at Bluebird Grain Farms and “stock up on my favorite grains, as well as just shutting my eyes and smelling the grain.” Ironically, if June’s father—who was a grain buyer in the 40s, 50s, and 60s—were alive today, he might be joining her on this buying trip, as part of his eternal quest to procure heirloom grains.